In this Monday, Oct. 29, 2018 photo, Holocaust survivor Judah Samet, 80, sits in his living room in Pittsburgh. Samet survived the infamous Bergen-Belsen concentration camp as a boy, and he was in the parking lot at Tree of Life synagogue Saturday as a gunman rampaged through the halls, killing Samet's fellow congregants. Sitting in the handicapped lane outside Tree of Life synagogue, Judah Samet watched as a plainclothes officer traded gunfire with the man at the temple door. He was caught in a crossfire and, yet, instead of ducking down, he craned his neck to get a glimpse of the gunman. "The guy was very focused," he said, pointing his finger like the barrel of a gun and mimicking the staccato clacking of semiautomatic fire. "I saw the smoke coming out of his (muzzle)." The 80-year-old Hungarian native had come face to face with evil once before, in a Nazi concentration camp. He had cheated death then, and on this Sabbath morning, he had a feeling that God was not finished with him just yet. When the shooting stopped Saturday, 11 people lay dead inside the bunker-like concrete synagogue in Pittsburgh's Squirrel Hill neighborhood, the heart of the city's Jewish community. 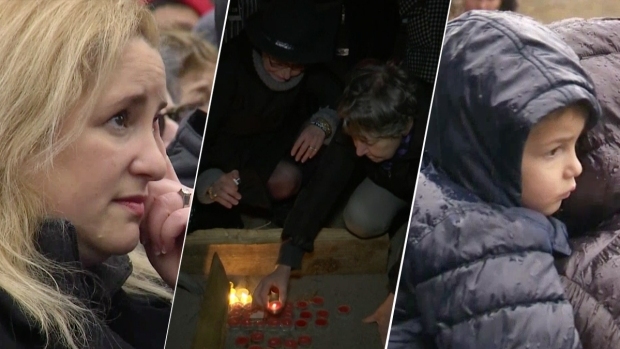 In the days since, many have expressed shock that a place that seemed so safe for 150 years could become the scene of the worst attack on Jews in the nation's history. But Samet is surprised that something like this hadn't happened sooner. "I didn't lose the faith in humanity," he said. "I know not to depend on humanity." Samet was just 6 years old in the spring of 1944 when the Nazis came to his house around the noontime meals and told them to pack. They were given 15 minutes to be outside "with our valuables and one change of underwear." Sitting in his sunny apartment in a jade-green building a few blocks from the synagogue, the retired jeweler recalled the long march to the trains. "What bothered me most is that there were Hungarians walking both sides, to and fro on the sidewalks," he said, curling his mouth into a grimace and shaking his head. "Nobody paid attention. Nobody cared. They were as bad as the Nazis." At one point, he watched in horror as a Gestapo sergeant put a pistol to his mother's head — for daring to ask for better treatment for the weary travelers. She was spared only because she spoke fluent German, and the commander wanted to use her as an interpreter. President Trump is scheduled to visit Pittsburgh on Tuesday to pay his respects to victims of the Tree of Life synagogue massacre, despite calls from city officials asking him to postpone the trip. "We do not have enough public safety officials to provide enough protection at the funerals and to be able at the same time draw attention to a potential presidential visit," Mayor William Peduto said. They were supposed to be going to Auschwitz, but partisans had destroyed the rail lines. After several months of wandering, they arrived at Bergen-Belsen, the northern German camp where Anne Frank was an inmate. "First thing we saw at the gate, there were about almost two stories of corpses, lying on top of each other," he said. "They'd clear them away. Next day, again, they have the same." Weakened by starvation, the population was ravaged by disease. "People were actually lying down and dying," he said, "because they lost hope." Samet did not lie down. His father died of typhus two days after the camp's liberation. But by some miracle, the rest of his family survived. After the war, Samet went to Israel, where he served as a paratrooper. He later relocated to Pittsburgh. 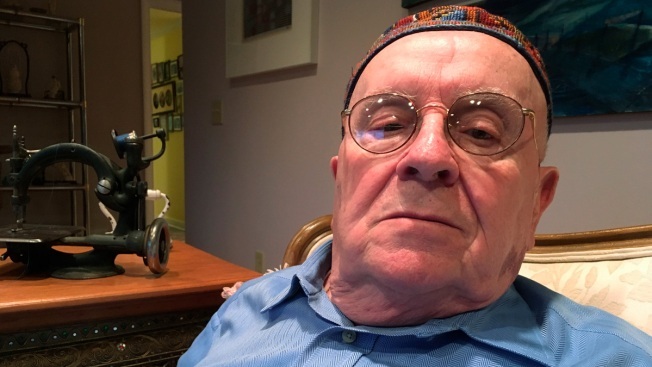 He has been a member of the Tree of Life synagogue for 54 years. Samet tries to go to "shul" — a synagogue — every day, and prides himself on his punctuality. But on Saturday, he was running late. "My housekeeper kept me for four minutes," he said. He began pulling into the lot when somebody knocked on his window. In a gentle, hushed voice, the man said: "You can't go in the synagogue. There's a shooting going on." Samet tried to back out, but there were too many other cars trying to do the same. Suddenly, out the passenger window, he saw what he later realized was a detective. "He was shooting at the fellow," he said. "And the fellow was shooting back with a rapid fire. Da-da-da-da. Da-da-da-da." Samet would later be able to identify Robert Bowers to the FBI, so close was he to the action. Following his surrender, the wounded Bowers reportedly told officers he wanted to "kill all the Jews." In online posts, Bowers hurled Jewish slurs and raged at synagogues like Tree of Life for supporting refugees, calling them "hostile invaders." "I can't sit by and watch my people get slaughtered," Bowers allegedly posted online shortly before entering the synagogue. "Screw your optics, I'm going in." Like many, Lauren Bairnsfather thought Pittsburgh was immune from such violence. She's the director of the Holocaust Center of Pittsburgh, located in Squirrel Hill. "I was shocked. But I also thought, 'Why not here?' It's happening everywhere. Why wouldn't it happen here?'" Bairnsfather said the center's mission is to show the relevance of the Holocaust today. Saturday's massacre was a "stark, concrete example" of how important that work is. "It's not just Jewish history," she said. "It's human history. And it's still happening obviously. It happened here." Auschwitz-Birkenau survivor Magda Brown, of Skokie, Illinois, was scheduled to speak at the Pittsburgh center Monday. As she watched news of the tragedy unfold, she turned to her daughter and said she wouldn't dream of canceling. "Now they need to hear our story even more," she said. "Let's go." Brown's speech to a large group of high school students also included a live webcast. On Brown's 17th birthday, she and her family were loaded on cattle cars and shipped to the dreaded camp, located in present-day Poland. Of an extended family of 70, only eight survived. The Hungarian woman, now a sprightly 91, believes that anti-Semitism never dies, it just goes "dormant," until a leader like Hitler comes along to reawaken it. But unlike Samet, she is counting on humanity. And that is why she shares her story. "I still believe there are more good people than bad," she said. "So I'm hoping that the good people are listening."